Being involved in a bicycle accident can be extremely stressful, especially if you’ve sustained injuries. As more and more people move to North Texas, we have seen an unfortunate increase in the number of cycling accidents that take place. If you find yourself in this situation, it is imperative you know what to do in the immediate aftermath. Taking the appropriate steps to ensure you and anyone else involved follows the law is a must, as is seeking medical attention. 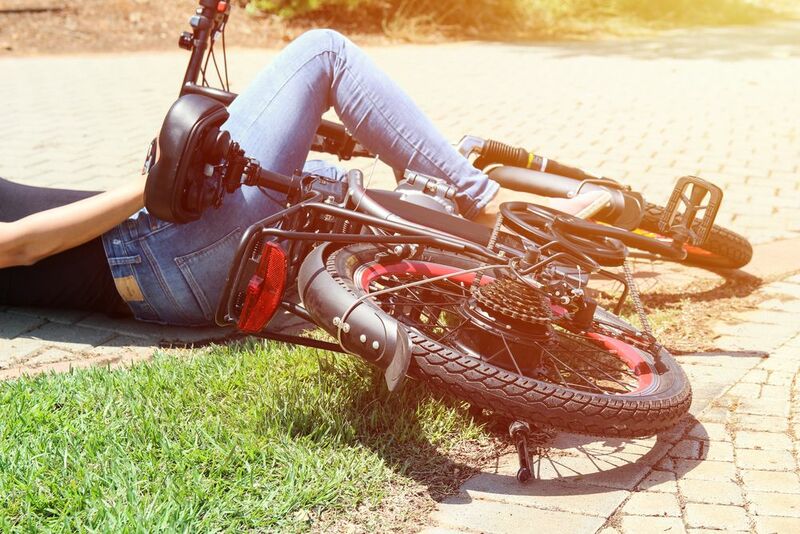 One of the biggest mistakes bicycle accident victims make is failing to see a doctor, resulting in underlying injuries coming to the surface days, weeks, or even months after the incident. This is why it is so important to come into Premier Injury Clinics of DFW following a bicycle accident. Our experienced chiropractors and other medical professionals will provide you with a full evaluation and, if necessary, come up with a rehabilitation program that is right for you. I’ve Been in a Cycling Accident – Now What? Every single year nearly 1,000 bicyclists are killed in traffic accidents. Unfortunately, this number continues to rise for many different reasons. As you may expect, when an accident occurs between a cyclist and a motor vehicle, it is the cyclist that suffers the most. If you are involved in an accident as a cyclist, the first thing you should do is check yourself and others for injuries. If you have any noticeable injuries, be sure and seek immediate medical attention. However, even if you do not have any outward injuries, you should always get checked out by a medical professional. This is because many of the most serious bicycle accident injuries cannot be seen by the naked eye or are masked by the adrenaline of the accident. Internal injuries are quite common with bicycle-car accidents, as are injuries to the spine, neck, and back. Fortunately, a chiropractor can help treat these common injuries, as long as you do not ignore your symptoms. Many of these injuries are obvious right away, while others are less clear and may present with various symptoms. We cannot reiterate how important it is for you to seek medical attention for ALL injuries, both those that are clear in the immediate aftermath and those that show up later. If you have been involved in a cycling accident, please contact Premier Injury Clinics of DFW today and schedule an appointment. Whether you have a muscle injury from the accident or a more serious injury to your spine, back, or neck, we can help.